The most fundamental part of taking good landscape photos is knowing what landscape photography is in the first place. I’m not talking about dictionary definitions here, either — what matters is how it works in practice. So, what is landscape photography, and why is it so amazing? Have you ever been out in the middle of nowhere, surrounded by nature, without a single person around? It’s a crazy feeling. You can look around the world, and you feel like you’re a part of it — and that is landscape photography. 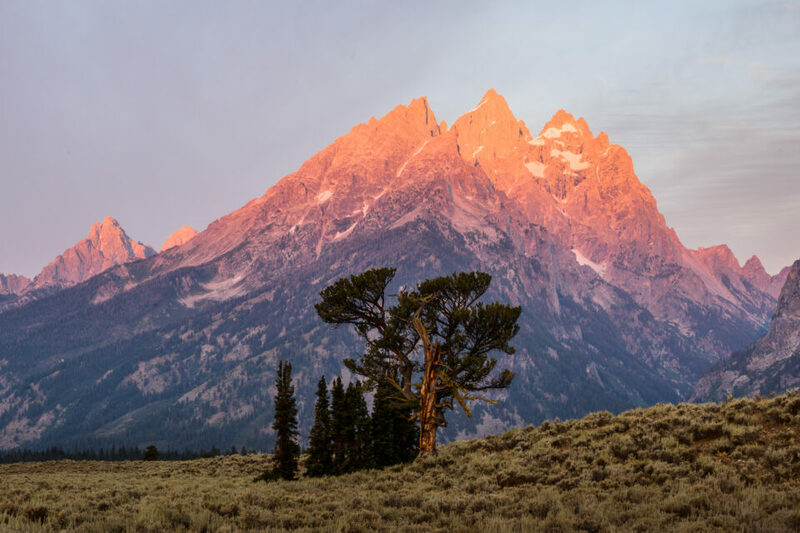 Landscape photography is capturing an image that embodies the spirit of the outdoors. It carries a sense of being there to see something incredible. When viewers look at your work, their hearts should jump. You want them to feel the same emotions that you felt, standing in the middle of nature and bringing back something amazing. 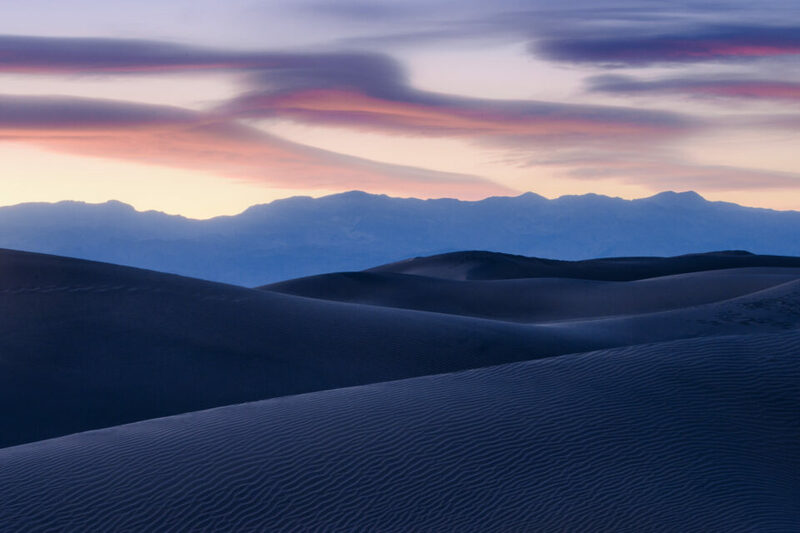 Years ago, I remember walking on an untouched sand dune in the middle of Death Valley. I couldn’t see any people nearby, and the sand dampened every noise I made. Being there with a tripod on my back — that was one of the most peaceful and memorable moments of my life. Landscape photography is spending all day watching a storm gather, telling yourself that the sunset will be incredible, and then returning home without a single good photo. It’s about leaving your tripod in the car because there aren’t any clouds in the sky, then seeing one of the most spectacular sunsets of your life. Both of these are commonplace in landscape photography. And, although it seems infuriating, all of this is part of the excitement. Why? Because, when you finally capture the image that you had in mind, it means something. The modern definition of landscape photography is very broad. Land or sea, urban or nature, big or small — by some measures, if you call it landscape photography, it is. You might say that this definition is too open, and that’s fair, but it also has a certain truth to it. When you try to restrict the definition of landscape photography, you’re placing limits around something that should be creative and boundless. Some photographers, for example, refer to architectural photography as urban landscape photography. Other photographers consider wildlife photography to be about the larger environment, not about a single animal. As a whole, I don’t see a problem with either of these examples. Landscape photography has no hard-and-fast rules. It means something different to every photographer, which is a good thing — this is what drives us forward and helps our photos improve. I love landscape photography. I love talking to people about it, studying their photos, and learning from them. This is a hobby, but it is also a way of seeing the world. Very few people want to wake up at 4AM to see a place at its most beautiful — but you can always count on a handful of dedicated, sleepy photographers to be there. I’ve been one of those photographers for a large part of my life, and I plan to keep on being one for a long time. It may seem like a lonely pursuit to stand next to your tripod in the middle of the mountains, with no other signs of civilization as far as you can see. Yet, at times like these, I have never felt like I was alone. Landscape photography is about people. You aren’t taking photos of people, but your end goal is always to show people what you captured. When you bring a viewer into a scene, giving them a sense of the world that you saw, that is landscape photography.